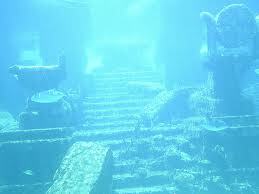 An American led research believes it may have fi nally located the legendary Lost City of Atlantis in the southern lands of Spain . According to Richard Freunda a professor from Hartford university in Connecticut this is the power of tsunamis as he states ¨It is just so hard to understand that it can wipe out 60 miles inland, and that’s pretty much what we’re talking about”. The team used state of the art technology to inspect the zone , using satellite photos to inspect a supposed submerged city to later find the site just at north of Cadiz ,Spain. In 2009 and 2010 the team integrated by professors Archeologist and Geologists used deep radar technology, digital maps and submersible technology at the Dona Ana park were they believe that they have rediscovered a millenarian multi-circled dominion known as Atlantis. Greek philosopher Plato wrote about Atlantis 2,600 years ago ,describing it as an island that was situated in front of the straits which are also called pillars of Hercules or the Straits of Gibraltar. Tsunamis in the zone have been reported trough out the century, one of the biggest a 10 story tidal wave that hit Lisbon in 1755. The experts are currently planning further excavations to site were they alegedly found Atlantis and at central Spain 150 miles away to take a closer look of geological formations and artifacts.